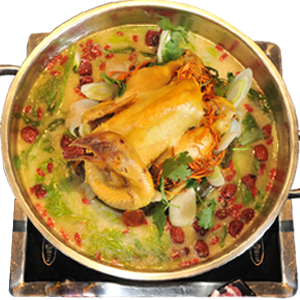 In its simplest form, all you need for hot pot (or steamboat, or Chinese fondue) is stock, or even water, and whatever ingredients you want to (and are able to) cook quickly in soup. It was always something I'd had at home - after all, you can spend less, and buy better ingredients. However, being in Hong Kong, where you can nary do a u-turn in your own apartment, having friends over for hotpot is quite a challenge, let alone having the space to prep everything and spread it all out.